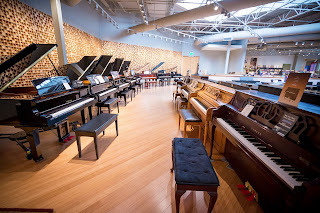 After a few years of teaching, I began to notice a marked difference between my students who had well-maintained instruments and those who have out of tune instruments, or keyboard instruments that don't reach my digital piano guidelines (see below.) Unfortunately, this difference only becomes more pronounced the longer a student continues with a piano that isn't contributing to their learning experience. But the good news is that when a family is able to upgrade, there tends to be a noticeable change in the student's interest, and in their progress, over a very short period of time. And many times I have seen that learning gap diminish, and ultimately disappear in a matter of months.